Lisa is a mother of three with over 40 years of riding experience and 20 years of natural horsemanship, a Bachelor’s Degree in Business Administration as well former school teacher with a Master’s Degree in education. 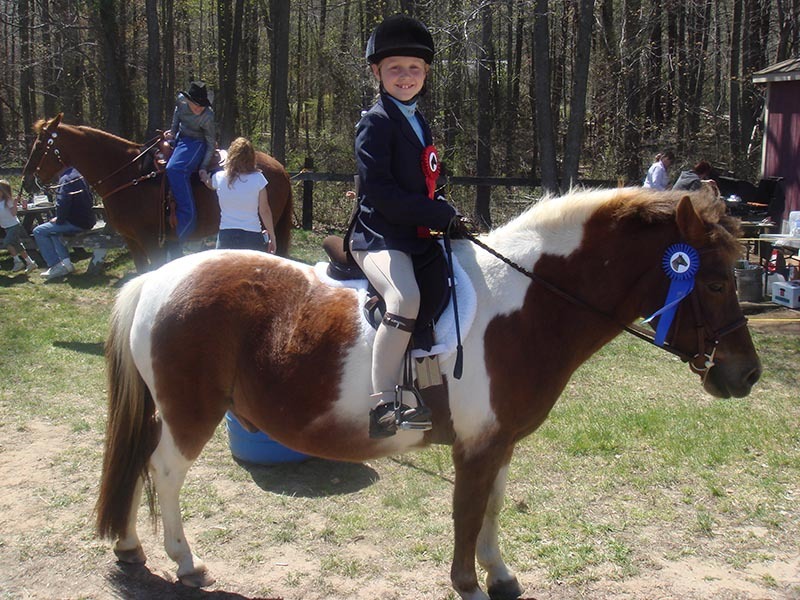 Beginning competitions at an early age, Lisa continues to train and compete in all areas of competition from local Hunter Jumper Shows, Dressage, Combine Tests, and Eventing. Let's not forget Maryland's official sport, Jousting! Her business education gave her the tools to run a successful business. After opening in 2005 at the Naval Academy Dairy Farm, Lisa's Nicker's Retreat, LLC business expanded to the point to be able to purchase her permanent location in Pasadena, MD. Her knowledge of teaching from the classroom, combined with her vast equine experience offers student riders a practical, safe and nurturing learning environment. Operating out of a 10 stall, 27 acre facility, Nicker's Retreat, LLC offers boarding, riding lessons, horse training, birthday parties and summer camps. We currently stable lesson horses and ponies that cater to multiple riders needs and abilities, including the most wonderful little pony that started it all, Sir Nicholas Fox!